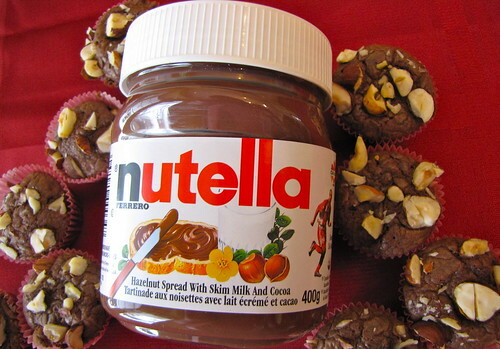 January 5th is World Nutella Day. Okay, so this is not an officially recognized commemoration. 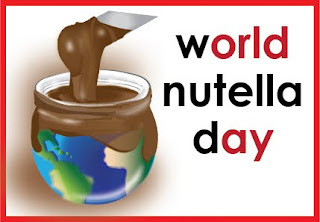 In fact, World Nutella Day appears to have been created by a couple of sweet-toothed bloggers in 2007. I can get behind any event, no matter how casual, if it is in appreciation of what must be one of the world's most widely adored products. Nutella is the only food that, to me, seems to be the same all around the globe: I have appreciated it as a familiar comfort in numerous countries. I made these zero-effort mini Nutella brownies, a simple treat that can be whipped up in no time with just four ingredients. Later in the evening, the snow began to come down heavily and I was craving something more wintery. I concocted a hot chocolate with Nutella melted into milk, plus fair trade cocoa and Godiva liquer mixed in for good measure. 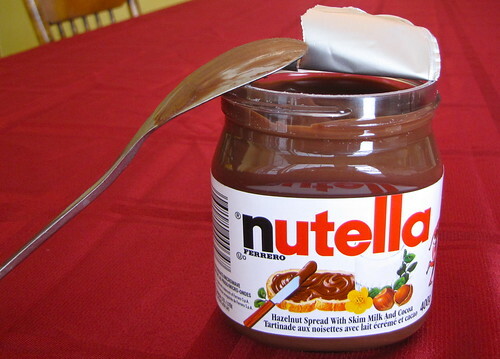 There are so many Nutella recipes to pick from but for me, the best possible way to enjoy Nutella is simply spoonful by spoonful. 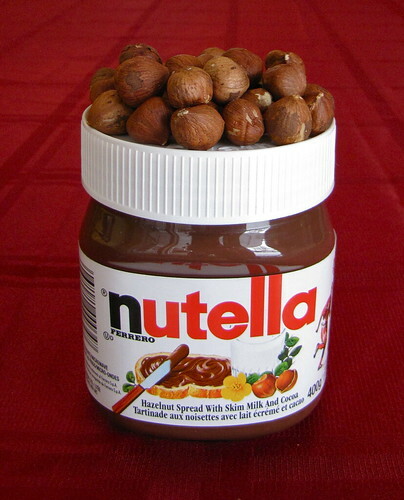 Are you a Nutella fan? 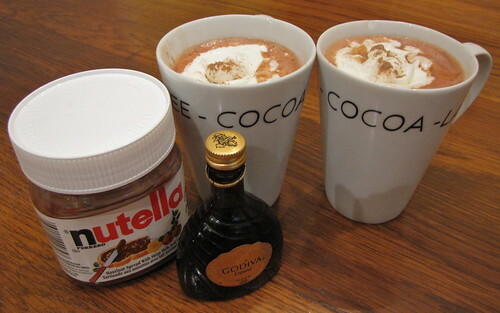 ooo nutella in hot chocolate. what a good idea!